The SIENA initiative placed emphasis on being extremely active in forming relationships with existing projects and standards groups, acting as a catalyst in promoting standards to a wide range of stakeholders from the public and private sectors in Europe and globally. The primary focus of the SIENA initiative is European electronic infrastructure (e-infrastructures) for research. It has therefore, taken into consideration the points of view of both the people responsible for infrastructure creation and operation, such as service and application developers, and the “end users”, for example, researchers in science, the arts and humanities. The focus on standards and interoperability and the offer of services through European grid and cloud infrastructures aims to benefit the education sector, and will also be relevant for e-government and commercial enterprises that can take advantage of the substantial research background that underlies most e-infrastructures. Trust-IT was Technical Coordinator of SIENA co-authoring the main output: the SIENA Roadmap on Distributed Computing Infrastructure for e-Science and Beyond (June 2012) officially endorsed by the EC (statement from Neelie Kroes, VP of the EC). 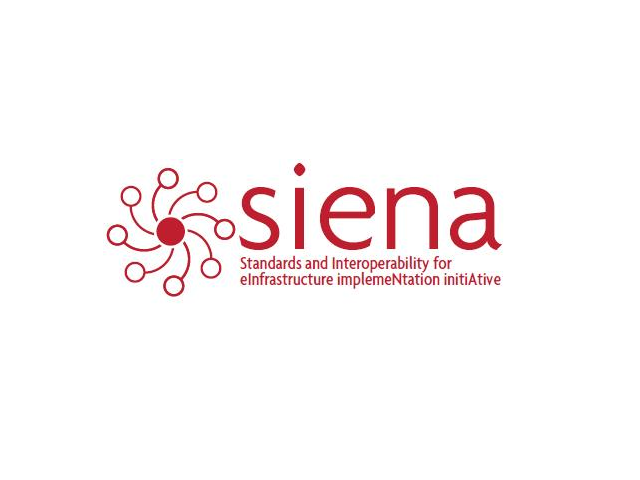 SIENA was the first initiative to bring to the same table standards groups to support the analysis of open standards-based interoperable grid and cloud computing infrastructures that helped Trust-IT spearhead the Cloudscape event series. The first editions Cloudscape I – Jan 2009, Cloudscape II – Feb 2010, Cloudscape III – March 2011 were organised under the SIENA umbrella.